27 What Is This Thing Called Love? Give Me Rhythm: Clubbing Fever! 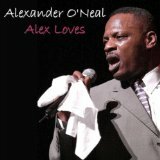 Alexander O'Neal (born November 19, 1953) is an American rhythm and blues singer, songwriter and arranger from Minneapolis, Minnesota. In a music career spanning more than 30 years, O'Neal is an accomplished soul and rhythm and blues singer. O'Neal came to prominence in the middle of the 1980s as a solo artist, releasing fourteen singles that entered the Top 40 charts in the UK during the 1980s and 1990s. His solo singles, sometimes dealing with lost love include "If You Were Here Tonight", "Fake", "Criticize", "The Lovers", "(What Can I Say) To Make You Love Me", "The Christmas Song", "All True Man", "Love Makes No Sense", "In the Middle", and ¨What's Missing¨. He is also known for duets with fellow R&B singer and Tabu labelmate Cherrelle such as "Saturday Love" and "Never Knew Love Like This". 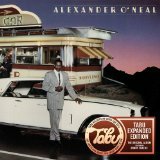 AllMusic has described O'Neal as having a "tough voice [that] has the same grain and range as that of Otis Redding."